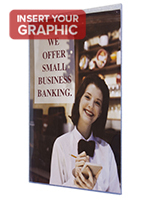 This Suction Cup Sign Sleeve is Designed for Advertising Large Posters! These Frames are Top Loading! This Suction Cup Sign Sleeve is Easy to Display! Accommodates 24" x 36" documents that easily slide into the unit. 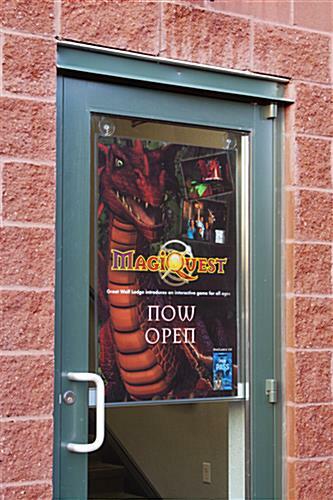 Frame is double-sided to attract customers coming and going. Unit is constructed from flexible clear plastic for affordability. 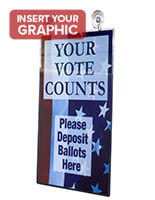 Display includes suction cups and adhesive tape for multiple mounting options. 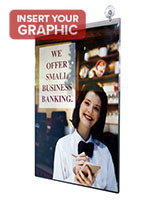 This suction cup sign sleeve, often referred to as a poster cover, is ideal for showcasing ads to consumers in a business. These units are usually seen in financial institutions, restaurants, and stores. This display, suction cup sign sleeve is designed for affordability. These units protect the graphics from becoming torn or bent. This suction cup sign sleeve will keep images looking sharper for a longer period. This poster cover comes with adhesive tape and suction cups for various mounting choices. In addition, this suction cup sign sleeve can be used in conjunction with ceiling hanging kits, which are sold separately. This unit can present vertically or horizontally when mounted to the wall using the tape. 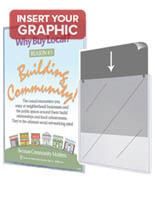 This frame is a suction cup sign sleeve that is double-sided when used with the suction cups. Each display is clear to maintain the focus on the sign and not the unit itself. 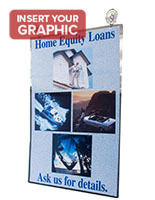 This frame is a suction cup sign sleeve that is versatile due to the range of mounting and display options. This frame is made from flexible plastic for affordability. 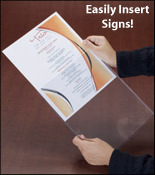 This unit is a suction cup sign sleeve that can hold signs, and updates quickly. This display is designed for quick changes, images simply slide into the unit. This suction cup sign sleeve is an inexpensive alternative to acrylic. This display ships same day if in stock and ordered by 1pm EST Monday – Friday. Purchase these frames from this trusted online superstore today.